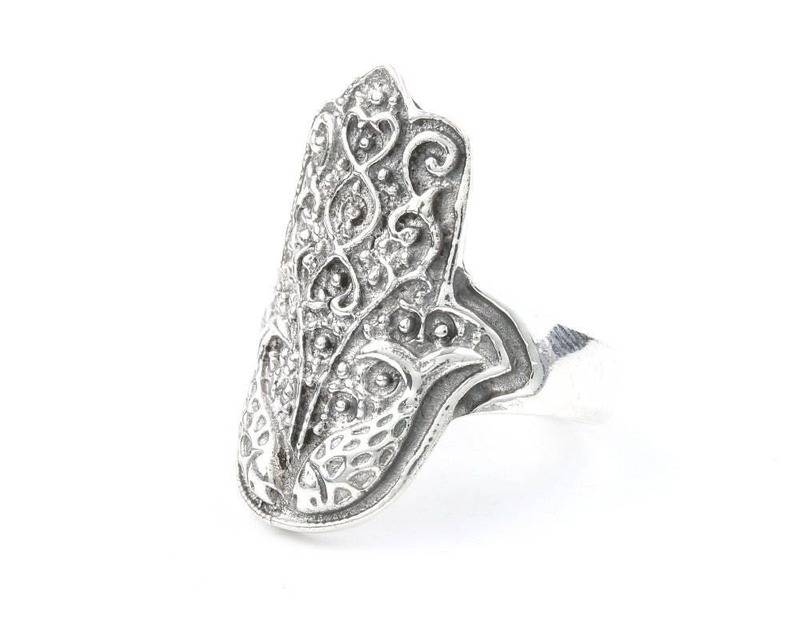 Sterling silver hamsa ring with ornate design. 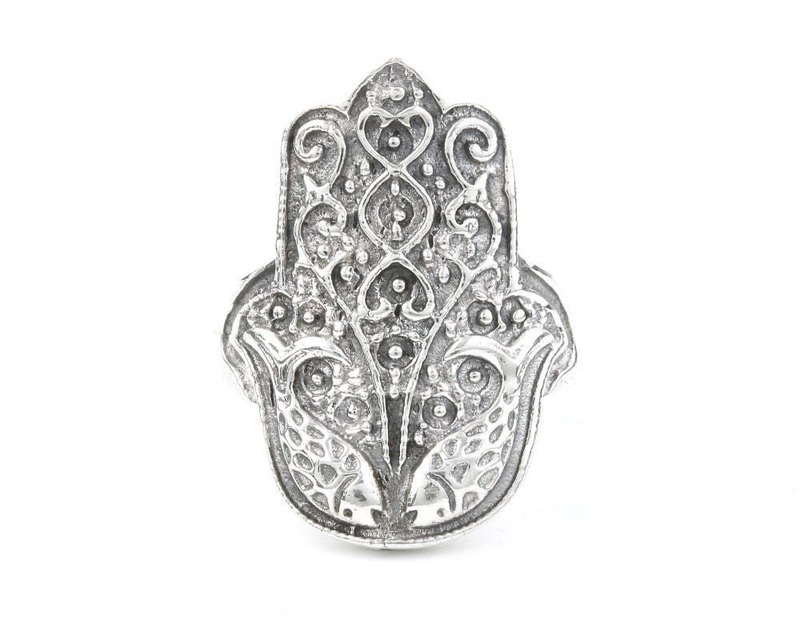 The hamsa is a powerful symbol of protection. The hand of God. Light patina finish accentuates the intricate details of the piece.